As evidenced by the FX television channel’s The Americans (2013), about suburban Russian sleeper-agents, and the latest Die Hard installment, A Good Day to Die Hard (2013), which features not only a Russian antagonist, but is shot and set almost entirely in Russia, there appears to be a renewed popular interest in the cultural concerns and antagonisms of the Cold War. Similarly, critical attention to film and fiction from the Cold War era has also been on the rise. The subject of this review, David Seed’s Under the Shadow: The Atomic Bomb and Cold War Narratives (2013), participates in this trend and follows on the heels of a collection of essays and several book-length studies of literature and the Cold War: American Literature and Culture in an Age of Cold War (2012) edited by Steven Belletto and Daniel Grausam, Grausam’s own On Endings: American Postmodern Fiction and the Cold War (2011), Derek C. Maus’s Unvarnishing Reality: Subversive Russian and American Cold War Satire (2011), and Adam Piette’s The Literary Cold War, 1945 to Vietnam (2009). But Seed, having published American Science Fiction and the Cold War: Literature and Film (1999) over ten years ago, was ahead of this trend. Indeed, he acknowledges that Under the Shadow is an extension and a deepening of the work done in his earlier study. What stands out about these recent accounts is that they all tend to focus on narrative cultures so that, in effect, what we retain from such a body of work is a developing contest over making-meaning out of the cultural production of the Cold War years. Seed divides his account of Cold War narratives into fourteen chapters, signalling his study’s privileging of the subtleties and nuances of its corpus. The first five chapters move forward chronologically and thematically from short fictions that feature the discovery of the atom and imagine its destructive potential in chapter one, “The Atom—from H.G. Wells to Leó Szilárd,” to topics in the larger popular discourse, such as chapter three, “The Debate over Nuclear Refuge,” where he discusses Judith Merril, one of the only female authors included in the study, and chapter five, “Philip Wylie on the State of the Nation.” Each chapter analyzes a variety of non-fictional and fictional texts (from Collier’s to H. G. Wells) that establish the critical cornerstones for those chapters that follow. Chapters six through eight focus on particular authors and texts, as Seed elaborates on Walter Miller, Jr.’s A Canticle for Leibowitz (1960), Bernard Wolfe’s Limbo (1952), and Mordecai Roshwald’s Level 7 (1959). Next, chapters nine through eleven focus on novels that have been adapted to film, such as Mark Rascovich’s The Bedford Incident (1963) and its 1965 film adaptation by James B. Harris; Harvey Wheeler and Eugene Burdick’s Fail-Safe (1962) and Sidney Lumet’s 1964 film adaptation;and, finally, Peter George’s Red Alert (1958) and Stanley Kubrick’s film Dr. Strangelove (1964). His final three chapters, chapter twelve, “Mapping the Postnuclear Landscape,” chapter thirteen, “Future Reportage on World War III,” and chapter fourteen, “Beyond the Cold War,” diverge from the single text study approach and consider the consequences of nuclear war in a range of popular texts. 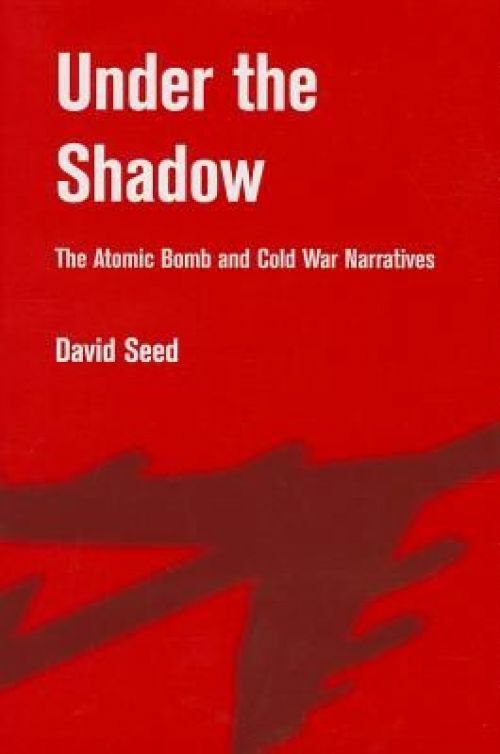 As a study of Cold War narratives, Under the Shadow does a great deal of interpretive heavily lifting, but abstains from offering analytic payout or any broad conclusions since there is no closing, summative chapter.Seed’s account of specific texts displays a wealth of knowledge that recommends Under the Shadow for scholars working on this period in general or on specific texts from his corpus. For example, his treatment of Pat Frank’s Alas, Babylon (1959) in chapter four, “Do-It Yourself Survival,” is noteworthy as Seed takes up a complex novel that few scholars have addressed, but which he identifies as an early turn away from narratives of apocalyptic destruction toward post-apocalyptic new beginnings and questions of survival (he also mentions that Alas, Babylon has never been out of print). Chapter six, “Cultural Cycles in Walter M. Miller’s A Canticle for Leibowitz,” identifies Miller’s classic sf novel as “proto-postmodern” due to its “fictional chronology” and “methodology,” which anticipates the “fiction of the 1960s and beyond referred to as ‘historiographic metafiction’” (99). In addition to in-depth analyses of outstanding works, Under the Shadow also offers insights about texts that are only briefly mentioned. For instance, in chapter 9, “Whales, Submarines and The Bedford Incident,” Seed mentions Frank Herbert’s The Dragon in the Sea (1956) as being “the first novel to make a nuclear submarine its subject”(148). Significantly, he describes it as “set in a future where America is locked in a war with the Eastern Powers to find fuel” (148), a topic which will be of interest to those engaged in the ways in which the twenty-first-century history. Those interested in the genealogy of contemporary apocalyptic, disaster, and post-apocalyptic fiction will find chapter twelve, “Mapping the Post-nuclear Landscape,” a most compelling chapter. Seed identifies two phases of post-nuclear narratives, one in the long 1950s, which includes the novels of Frank, Miller, Wylie, and others, and another during the 1980s, comprised of works like Kim Stanley Robinson’s The Wild Shore (1984), Whitley Strieber and James W. Kunetka’s Warday and the Journey Onward (1984), and David Brin’s The Postman (1985). He emphasizes the latter’s “narrative reconstruction” and “exploration of the [postnuclear] terrain”(199), outlining the compelling ways that Cold War narratives begin to contest the post-apocalyptic cultural landscape even before the end of the Cold War. By recounting this narrative contest, Seed’s work participates in its own re-narration of Cold War fiction as socially reflective and often critical of the status quo. Perhaps due to the breadth of Seed’s study, his references to genre often come across as cluttered and difficult to navigate. A list of genre and narrative descriptors that he invokes throughout the study and with varying frequency will help to illustrate this problem; he refers to:“a novel of the atomic age” (1), “nuclear novels,” (7); “future histories” (7), nuclear energy tales (9), “the nuclear sublime” (44), “political parable” (57), “protosurvivalist work” (71), “secular apocalypse” (93); “disaster narratives” (31), “encyclopedic narratives” (113), “hypothetical narratives” (48), “narratives of nuclear war” (6), “postnuclear narratives” (95), and “[the] search narrative” (10), among others. My problem isn’t with the proliferation of genres and subgenres, per se, but with the lack of the theoretical scaffolding that would allow a reader to make sense of them. How do future histories play out in relation to secular apocalypses? Which of these genres overlap and which cannot be used to describe the same text? To be fair, Seed does draw on other critics for at least some of these labels, as with nuclear sublime narratives, which he credits to Frances Ferguson (40), and with encyclopedic narratives, which he credits to Edward Mendelson (113). The introduction to Seed’s earlier American Science Fiction and the Cold War provides one answer to the genre problem of Under the Shadow: Seed explains that nuclear war is always already textual; the focus and drive of his work seems to suggest that the same holds true for history itself and by extension all narrative, thus shifting his concern from the production and reception of texts towards their content. Genre, for Seed, becomes a less complex formal term and more a way of distinguishing what happens in a given story. On a positive note, the proliferation of genres is a sign of the richness of the archive of Cold War narratives and the remaining, though sometimes conflicting, interpretive possibilities for engaging that archive. Seed’s project to re-narrate and re-situate Cold War narratives in Under the Shadow includes “more material about” and gives “more detailed attention” to key nuclear narratives (6) and, crucially, is published at a moment when this return to the Cold War seems logically possible once more. In the wake of the 2007-2008 financial crisis and the ensuing global recession, globalization and capitalism appear more intensely entwined than they have since the fall of Soviet communism. This could be one reason for the return to the cultural field of Cold War narratives today. Seed’s account refreshingly draws our attention not only to the ideological battles fought over and, crucially, with nuclear energy and atomic weapons, but also, and this is where his study differs from those others mentioned above, to the ways the authors in his study discuss their ecological impacts. Today, the threat of mutually assured self-destruction seems to be arriving from a much slower, much hotter ecological war, implied in Seed’s chapter on Philip Wylie (who drew on Rachel Carson’s Silent Spring  as a source for The End of the Dream ). Reading Seed’s work, then, we must remain mindful of its historical mediations, as his study of the development of Cold War narratives is one and the same time a reflection on the ecological crises we face at present. As such, I recommend Seed’s book as an immensely useful critical tool for those pursuing their own theories of Cold War cultural production and its contemporary revival. This review first appeared in Journal of the Fantastic in the Arts 25.2-3: Seed, David. Under the Shadow: The Atomic Bomb and Cold War Narratives. Kent, OH: Kent State University Press, 2013. Hardcover. ISBN 978-1-60635-146-8. $60.00.